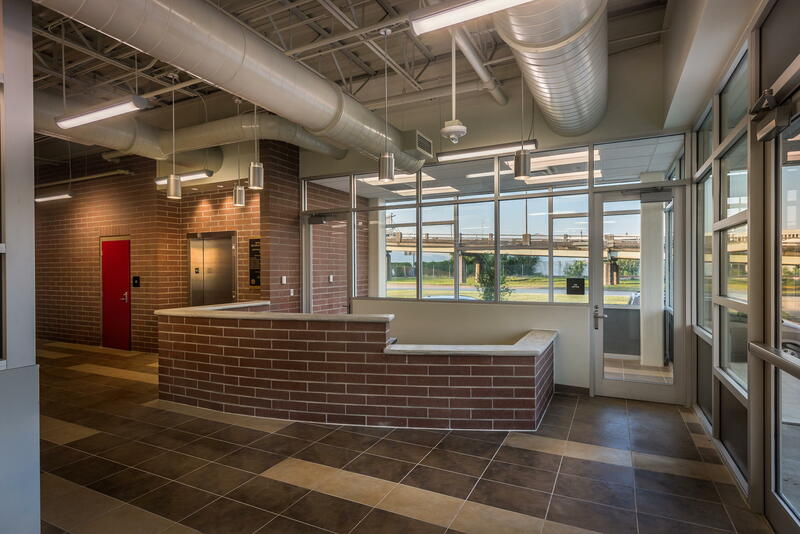 The new Rosenwald Center facility replaces a culturally significant community center that served the families of the BW Cooper Housing Development for decades. 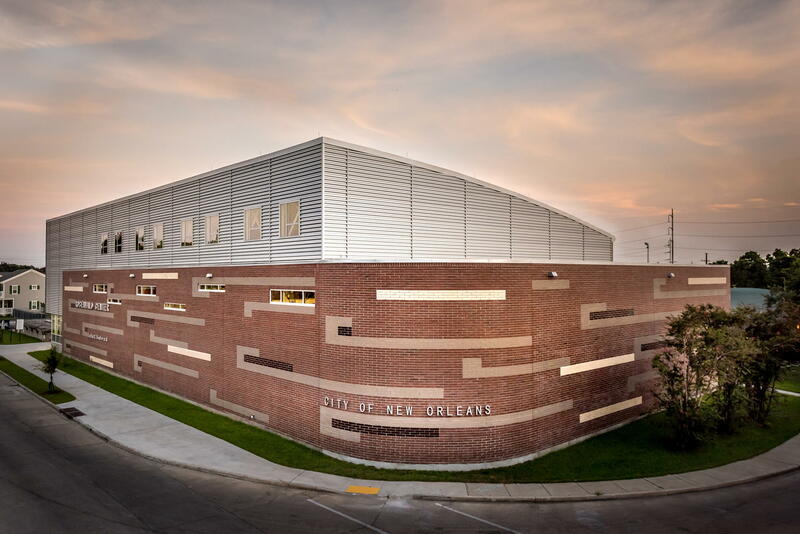 Damaged beyond repair by Hurricane Katrina, the original facility was razed and replaced by this new complex to serve the new Marrero Commons Development and a neighborhood still rebounding from devastation. 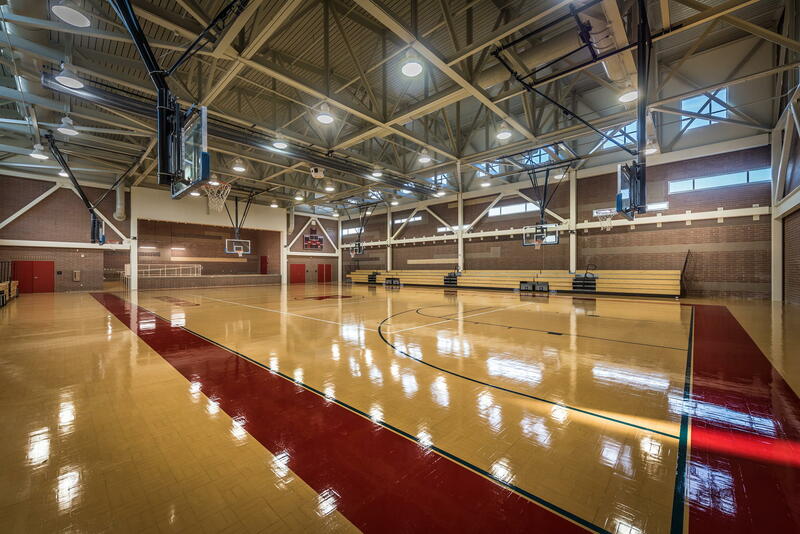 The 15,000-square-foot public facility contains a basketball gym and stage interconnected with two stories of multipurpose classrooms. A high-density masonry wall wraps the curve of the roadway adjacent to a busy overpass. Deep steel trusses span the court providing a clear span and visual texture to the gym area. 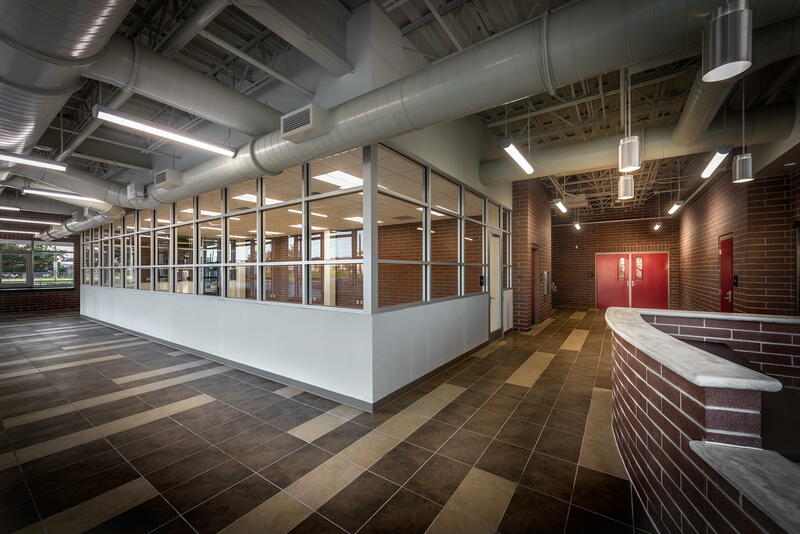 The entry lobby is clad in a glass and aluminum storefront system providing light to the interior spaces and contrasting with the visual weight of the mass of the abutting masonry.